The Vine Centre is committed to ensuring that local people of all ages have access to learning opportunities, whether they want to improve their skills or qualifications to get a job, help their children with their homeworks, or simply keep their minds active in retirement. 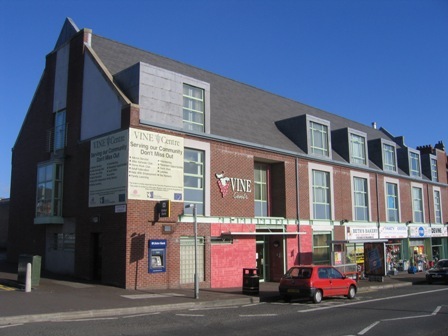 Various training is available at the Vine Centre including ICT. Most of the training depends on funding that is available. If you are interested in getting some advice on training and employability call into the Vine Centre and speak to Elizabeth. Training programmes start at various times throughout the year depending on funding. If you are unemployed or you need help filling out application forms or doing a CV we can help you. Little Sparks Mums and Tots runs every Wednesday morning from 9:30am - 11:30am. If you look after a toddler come along and meet other people and enjoy a cup of tea while your child enjoys free play, arts and crafts, story telling and singing. JAFFA (Jesus a Friend for all) runs every Wednesday afternoon from 3:15pm - 4:15pm for all primary school aged children. In JAFFAyou child will do activites such as arts and crafts, story telling, memory verse learning and singing.